As watermelon is in season, I picked some up at my local farmers' market, Green City Market, to make a detoxifying juice. Watermelon is 92% water by weight and it helps the body flush out toxins, especially in the liver and kidneys. Due to my daily environmental toxin intake and dining out at new restaurants accompanied with wine pairing, my liver and kidney work extra hard for me. I have to take extra steps to cleanse, restore and balance my body whenever I can. When I am not attending tastings, I am always eating and cooking with local and seasonal ingredients. Juicing has became a daily activity in my household which helps me to stay healthy as a food blogger/food socialite. 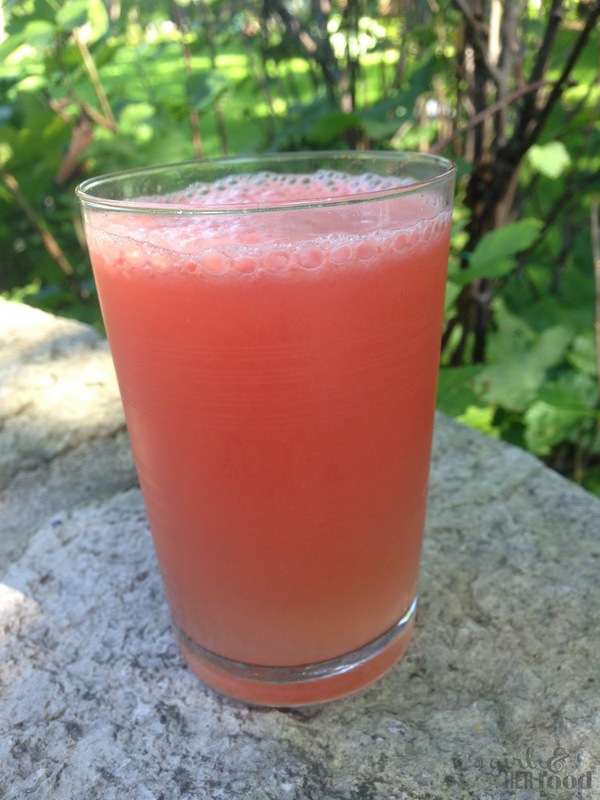 Using my Breville juicer, I put the watermelon and lime through! Easy as 1-2-3!